Having frozen shoulder pain? Let your shoulder move without pain with acupuncture treatment specialist MD doctor with 40 years experience in modern 4.5 Star* rated clinic in Nashik, with dedicated staff. Frozen shoulder pain treatment has been quite effective at Dr Pardeshi Acupuncture pain Therapy centre. Many patients have benefited from our expertise exemplified by review. Symptoms of Frozen Shoulder are dull, aching pain in shoulder and not able to move it freely. There might also be shoulder pain at night or cold shoulder pain, severe pain on slight jerk in particular position. Shoulder pain when sleeping may be major complaint. You may complain of shoulder pain when lifting arm. You may not be able to take hand up or behind back. Routine activities may be hampered with frozen shoulder pain. Frozen shoulder is sometimes called adhesive capsulitis, which causes stiffness and pain in the shoulder. In frozen shoulder, the smooth tissues of the shoulder capsule become thick, stiff, and inflamed. After some time, movement of shoulder become difficult or restricted, therefore name frozen shoulder. It affects about two percent of population of 40-60 years and more of women than men. Your shoulder joint is ball and socket joint is most flexible joint and is formed by three bones, Scapula, head of Humerus and Clavicle bones. Head of Humerus fits into hollow space (Glenoid) formed by scapula bone bones. It is formed by two separate joints by Humerus with scapula and clavicle. The joint is kept in place by attachment of different ligaments and muscles called rotators which can give rise to rotator cuff muscle pain. Exact shoulder pain causes or frozen shoulder is not known, however following conditions are associated with frozen shoulder. Since cause is not clear, shoulder pain relief is also difficult and there is no instant shoulder pains cure, though it resolves with time. Diabetes For unknown reasons, 10- 20% of diabetic patients suffer from frozen shoulder. Hypothyroidism, Parkinsonism, and cardiac diseases are also associated more with frozen shoulder. ImmobilizationIf shoulder movements do not take place due injury, surgery, fracture or shoulder pain syndrome can develop. How do you know why shoulder aches?Most shoulder problems are due to tendon inflammation (bursitis or tendinitis) or tendon tear, instability, arthritis, and fracture (broken bone). Pain in and around shoulder may be difficult to diagnose since it may come from pathology of structures inside or outside of shoulder. Depending upon pathology, shoulder pain may present in different form and treatment of shoulder pain will vary accordingly. Other less common causes of shoulder pain may be tumours, infection, and nerve-related problems. In the pathology of frozen shoulder, the shoulder capsule thickens and becomes tight and adhesion develops. Synovial fluid may also reduce in some cases. Restriction of movement occurs in three stages. Freezing stage: It develops, as there is pain and restriction of movements. As range of movement lessen, shoulder joint remain in narrow range as pain worsen. Freezing stage generally lasts for 2-10 months. Frozen stage: Pain may reduce in this stage but restriction of movements persists. It may last for 4-6 months. Thawing and resolution: Movements of shoulder start improving slowly and get frozen shoulder pain relief and become normal in 6 months to 2 years. Most effective frozen shoulder treatment is acupuncture. Acupuncture Treatment As symptoms arise, a primary goal of treatment is to reduce complaints gradually, with the possibility of regaining mobility. Acupuncture effectively reduces frozen shoulder pain and restores functionality. It acts by its property of anti-inflammatory action and analgesic effect. Acupuncture, when performed by experienced hands can certainly bring substantial economic benefits while minimizing the risk of side effects. Full resolution of frozen shoulder may take about 3 years with management of shoulder pain doctor. Aim of frozen shoulder therapy is to reduce pain and regain muscle strength. Shoulder pain doctor may manage your problems with acupuncture in shoulder pain clinic better than other centres. For this aim best treatment for frozen shoulder pain is acupuncture by qualified doctor. Non-steroidal anti-inflammatory medicines are generally prescribed. Acetaminophen and drugs like it can reduce pain to some extent. Fomentation is a preferred shoulder pain treatment because it contributes to vasodilatation of the blood vessels. The moist heat that is the best in this case, you can get with baths or compresses, or with mud and paraffin. The acceleration of the arrival of the results and the alleviation of shoulder pain symptoms is possible through the use of laser therapy and physiotherapy and ultrasound which can be integrated. Frozen shoulder exercises are supposed to improve the loss of muscle tissue, stretching and mobilizing the area affected in the presence of a physiotherapist, and then with increasing knowledge about the year even on their own. Exercises must be slowly progressive. Sudden load on muscles or must be avoided. Physiotherapy for frozen shoulder and exercises for frozen shoulder can relax muscles and relieve pain to some extent. Frozen shoulder physiotherapy plays big role in shoulder pain remedy. Shoulder pain - Home remedies for frozen shoulder includes prescribed exercises and fomentation. Sometimes patients need frozen shoulder and neck pain treatment also due to common nerve supply. Throughout the rehabilitation period sudden movements and efforts will be banned. You cannot use the limb in rehabilitation to work, let alone to lift weights. Usually the initial phase and the so-called cold pain, does not produce immediate results and can discourage the patient with continued periods however, must started in order not to lose the work already done to achieve a cure. 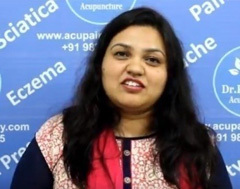 Acupressure treatment for frozen shoulder pain has limited scope. Local injections of cortisone to help reduce pain in the early stages may help to some extent. In their place, at this stage or during the recurrence of symptoms of symptoms of pain in the shoulder, you can use anti-inflammatory drugs for oral or topical. Surgery for frozen shoulder when physiotherapy treatment for frozen shoulder fails may be considered. It involves mobilisation of joint under anaesthesia or endoscopic manipulation. Patients report having taken Ayurvedic treatment for shoulder pain and reported some relief also. Ayurveda treatment for frozen shoulder pain has claims of pain relief. 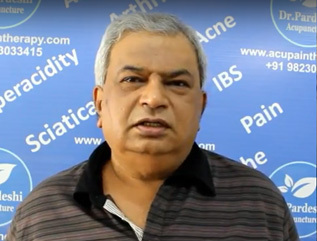 Similarly, Homeopathic treatment for shoulder pain has also has some satisfied patients. Of other frozen shoulder remedies, Homeopathic treatment, also are recommended as frozen shoulder symptoms treatment. 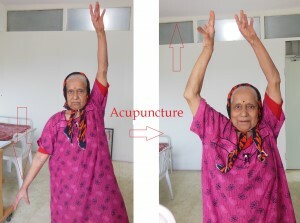 Similarly Tai Chi treatment for shoulder pain is effective. Qigong treatment for shoulder needs special training and can be useful tool of management. Respect warning signal of pain from body when doing exercises. "I, Mr Prashant Hire was Minister of transport and run various educational institutes. I had frozen shoulder for which doctors told me that there is no treatment. There was no use of physiotherapy. 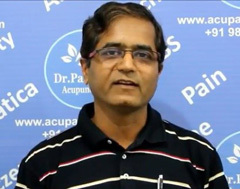 With Dr Pardeshi Acupuncture my problem was solved by more than 90%"